8-year-old Gabe Marshall has a rare malignant brain tumour. He was diagnosed with a form of cancer called anaplastic astrocytoma in March 2015. His father, Josh Marshall, told Buzzfeed News that though he still has some of the tumour in his brain, he has been stable and off treatment for about nine months. 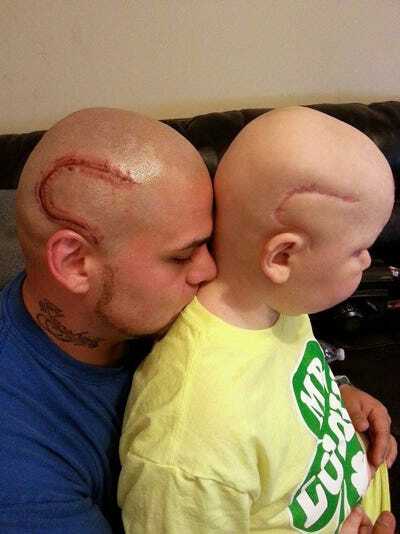 However, he also said that Gabe felt like “a monster” because of the large surgery scar on his head. This broke his father’s heart. So Marshall came up with a solution to help his self-conscious son: He got a tattoo that matches Gabe’s scar. “I told him if people wanted to stare, they could stare at both of us,” he said. 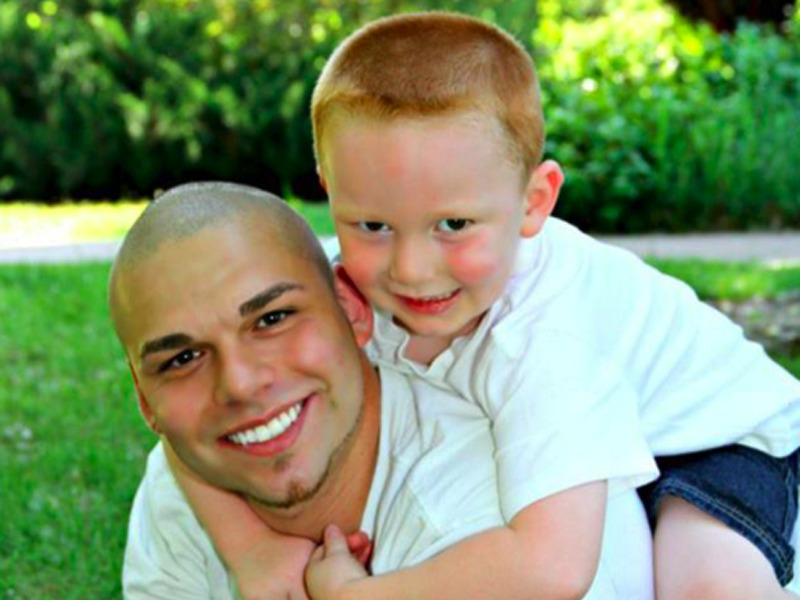 This touching gesture won Marshall St. Baldrick’s 2016 #BestBaldDad award with 5,000 votes.